Andre the Giant.The Iron Sheik. Shawn Michaels. Ricky “the Dragon” Steamboat. “Mr. Perfect” Curt Hennig. What do these men have in common? Among other things, they are but 5 of the individuals who make up the World Wrestling Entertainment Hall of Fame, which totals 113 inductees at this time. The WWE’s Hall of Fame began on the February 1, 1993 episode of Monday Raw as way to pay tribute to the then recently deceased Andre the Giant (André Roussimoff). Subsequent ceremonies were held just prior to the King of the Ring, then at Survivor Series before going on hiatus only to return in its current incarnation, the evening prior to Wrestlemania. WWE’s Hall of Fame has been in existence for 20 years. You may be wondering how many visitors there have been in this time. I’ve done the math, and the answer is zero. It may sound surprising, but the answer is simple. There is no physical WWE HOF to go and visit. Currently the company’s hall of fame exists solely in the digital realm. 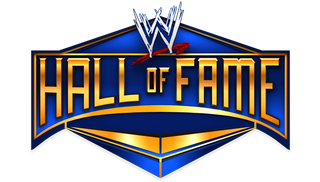 It’s not at all unusual that the WWE has a hall of fame; there are many halls of fame for many different things. What is unusual is that a company known for its marketing prowess, one that misses few if any opportunities to brand itself has done little more than pay lip service to its Hall of Fame. It makes one wonder why? After 20 years and having honored so many former wrestlers who helped build the company into what it is today, why is there no physical location for the fans to visit? At the very least it seems like a lost marketing opportunity. The Naismith Memorial Basketball Hall of Fame has a full court that attendees can shoot around on, being able to pose in an actual WWE ring would hold similar allure. Baseball's Hall, in Cooperstown, NY pays tribute to many amazing records such as Cal Ripken's consecutive games streak and Cy Young's all-time wins record. Similarly, the WWE could have wings showcasing longest title reigns and most championships held. Arguments can be made about the best location for a dedicated Hall of Fame. I’m not partial to any specific site, though something paying tribute to WWE’s northeastern roots may be a logical choice. I feel it would be a draw for many fans, and a nice way to memorialize the many individuals who dedicated their lives to advancing the profession. At this point I think even a traveling museum set up at each monthly stop on the pay per view circuit would be sufficient. I do not know if WWE has any long term plans involving the construction of a facility to house their hall of fame, but I hope at some point in the not too distant future they identify a site and create a destination for professional wrestling fans to visit and learn the history of the men and women that played a crucial role in building the organization now known as WWE.